We have a HUGE month of events in February followed by another HUGE month of events in March. So, be on the lookout for upcoming news. Both the Garden City tasting room and Wine Bar have fun alternative Valentine's Day events happening and we would love to see you all there. Please pre-purchase your VVV (Valentine's Vaudeville Variety Show) tickets if you would like to attend, and remember that food orders are due by the 7th! Click HERE to get your seats! Also, we have been so grateful with the large attendance to Bingo Nights. But, we have had to turn away guests. So, if you want your seat, remember that it is first come, first serve! In addition to our busy calendar, we find our reds are quickly diminishing! If you want to get your hands on any 2015 Sidewinder and any of the remaining 2015 Grit, I would get to Coiled ASAP! In addition, if you want to get your stash of the Petit Sirah, do it now. It will be available to the public starting in March. If you have not picked up your Fall Release, please do so. We will start making phone calls to those that haven't this week. You will have until March 15th to pick up your wine before it goes to the donation wine. Lastly, we just wanted to say a huge 'Thank You' for all of your support. We are so lucky to have the community that we do! Remember to love and care for those around you every day; not just February 14th! And drink to health! Limited Seating! Get your tickets HERE. 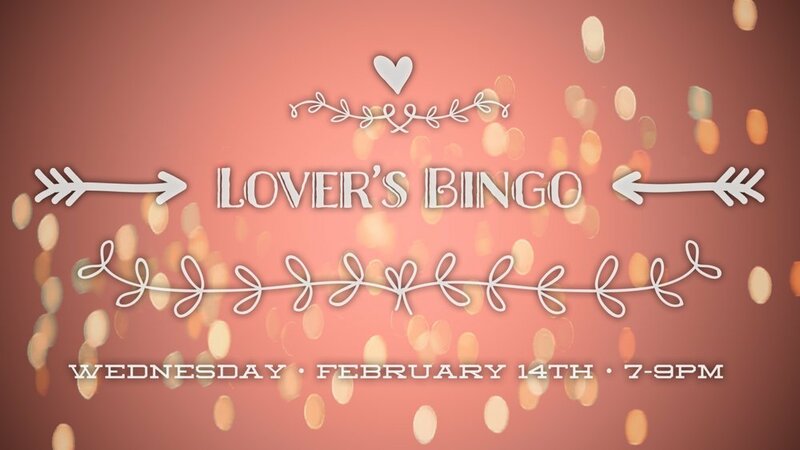 Join us at the Coiled Wine Bar downtown from 7-9 PM for bingo and Tacos! Wetos Locos taco cart will be parked outside of Coiled's bay from 5-9PM on February 14th. Thinking you would rather just grab a beautiful prepackaged gift? Check out the options from Olive and Vyne and Coiled Wines! Olive and Vyne Pear Balsamic is the perfect compliment to our beloved Rizza and Rosé! Olive and Vyne white Pear balsamic is a year-round favorite and a perfect accomplice to any and all of your favorite food festivities. Elevate fruit, cheese, salads and poultry with the sweet and aromatic Pear balsamic. When paired with Coiled RIZZA or Translations Rose the end result is simply wonderful. Set includes tailored recipes. Join us February 1st for FIRST THURSDAY in Downtown Boise! We'll have all the usual suspects from Coiled and Translations available by the glass (and half-glass, if you're on the move and can't stay for a full glass pour! ), along with featuring the art of Tony Caprai! Tony will be joining us, so you'll have a chance to chat with the artist himself along with hanging with the Coiled Crew! Come celebrate 1st Friday on Friday, February 2nd at Amaru! 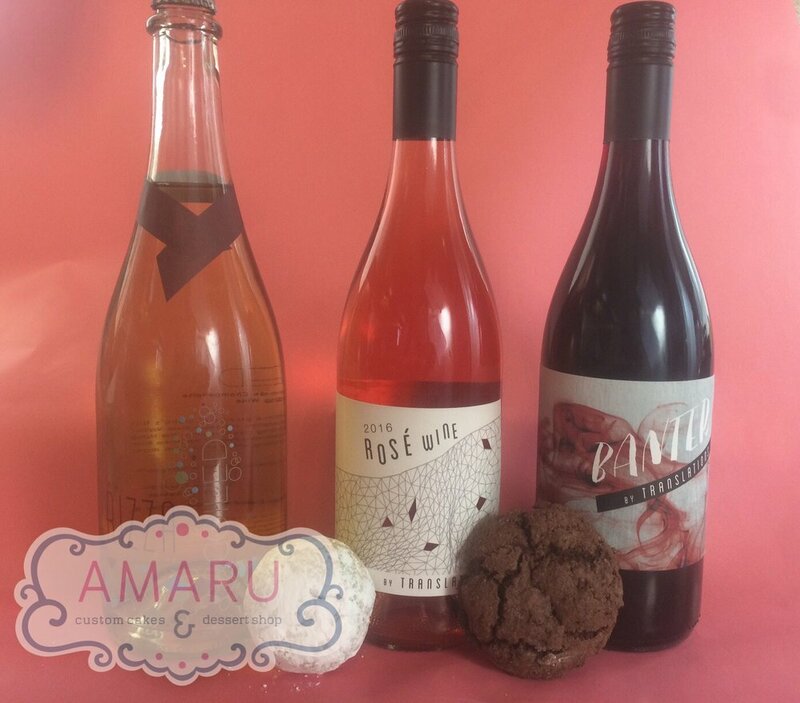 They will be pairing our Rizza, Rosé, and Winter Banter with delectable goodies throughout the month of February. Brigid will be pouring Rosé Fizz and Winter Banter for those out and about for First Friday from 5-7pm @ 217 S. Roosevelt St.
We will have wine available by the glass and by the bottle!